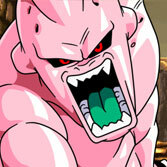 Team Z2 has released another great character for Hyper Dragon Ball Z, most popular fan-made DBZ fighting game. 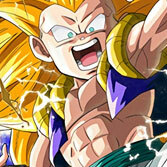 Expected by all, Gotenks, is already here and like all previous characters, will bring you a lot of fun! The main character creator is Daeron, and you can support his pixelart work on Patreon. Check the possibilities of the new character in the video below. The easiest way is to download the entire game from our download section. 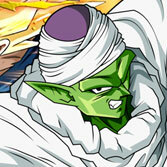 We've already added Gotenks to it, so you can play it immediately after downloading and unpacking. If you want to manually add Gotenks to your copy of the game, check below for how to do it. Go to official character website: Here. Click Download button in the upper left part of the site. Unpack the downloaded file using, for example, WinRAR. How to add to the game? You have an example of the correct line replace below. If you have previously downloaded Hyper Dragon Ball Z Champ's Build with Buu from our download section, replace the EMPTY line with the above code just below or above the Buu line. Of course, if you understand how the arrangement of these lines affects in-game roster, you can add any character wherever you want. 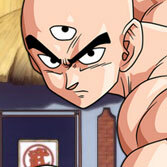 We know that Team Z2 is currently working on Krillin, Android 18 and Tien. Which of these characters will appear next? Who knows, but it's definitely worth waiting for!